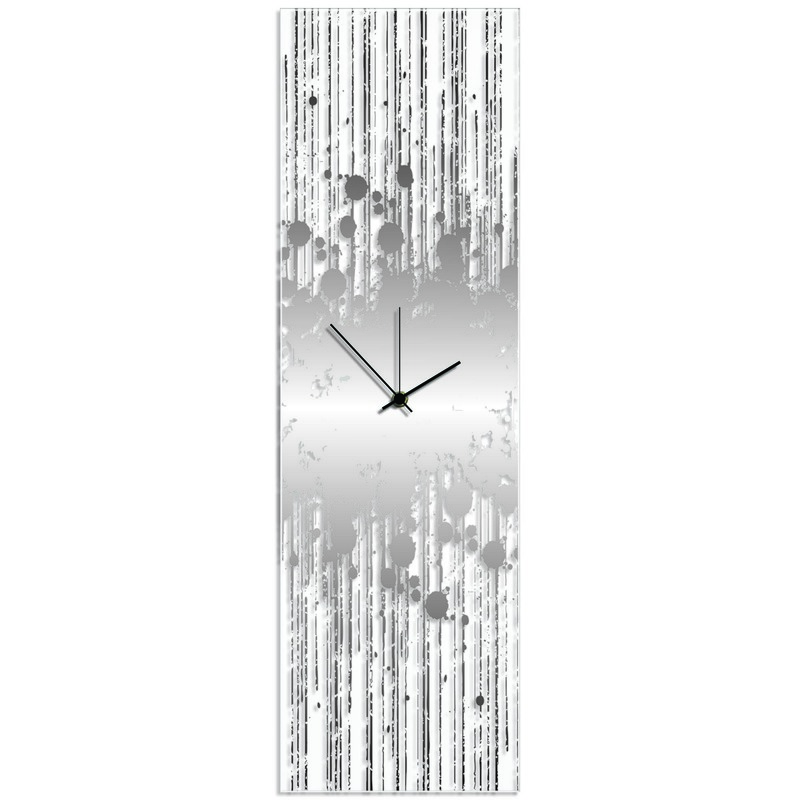 As the name suggests, our Silver Paint Splatter Clock is a dripping, running, paint-splattering display that brings an element of functionality to an otherwise abstract accent piece. Designed and crafted in Cincinnati, Ohio by upscale furniture designer/maker Adam Schwoeppe, this contemporary decor features a tall, large plexiglass body with vibrant hues of silvery grey and black over a transparent body. 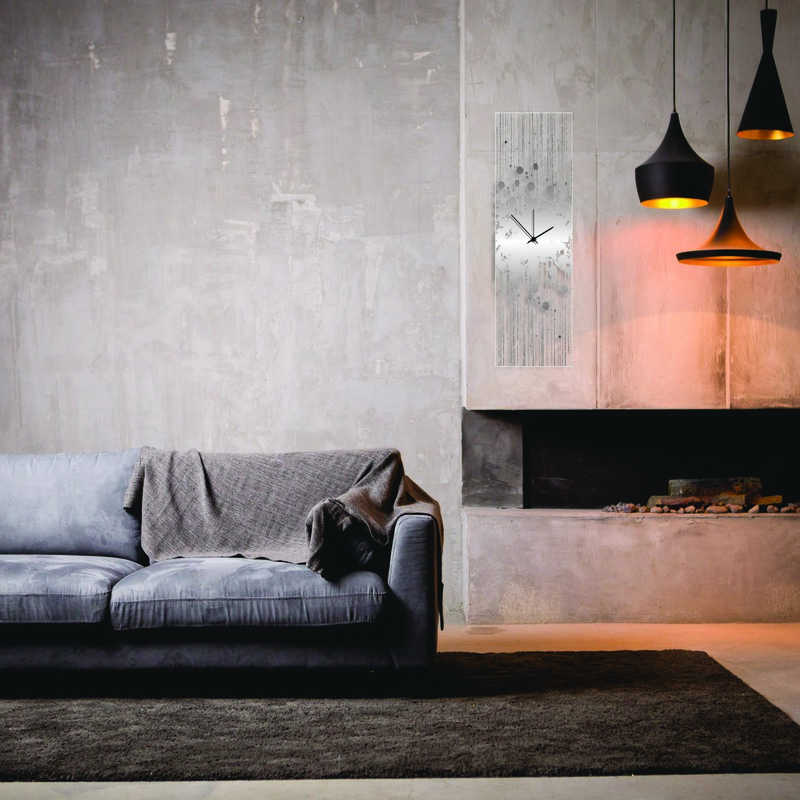 This silvery grey kitchen clock is perhaps more art than clock; the invisible acrylic adds an interesting layer to this design, as it creates a unique shadow on the wall behind only the colored areas of the clock body. This piece makes a striking statement in any urban, contemporary home or office, as the splattered paint appears to be suspended in the air, floating just off the surface of your wall.